Music commonly expresses feelings, ideas, thoughts or obsessions, so why try and confine it to boundaries? After all, it’s all about giving you the feeling of power, that everything is possible in this world. Rock music, yes, but not confined to four-four time: free, instinctive, curious and scrappy, asymmetrical. Responsible for this asymmetrical rock, as they like to call it, are Gil Charvet and Nicolas Robache accompanied by drummer Jocelin Soler. 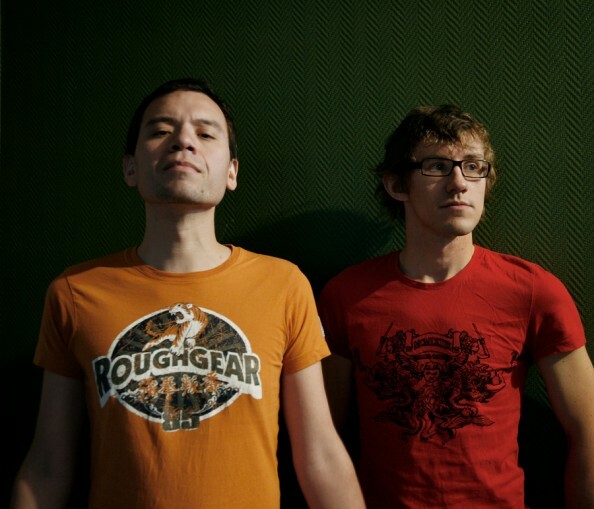 Two classical trained instrumentalists from Paris who have explored several projects and demos both in English and French before they recorded their first album individually in 2009. Unfortunately it took a while until they broke into the French music industry, who was being dominated by the 4/4 time dictatorship. But the guys pursued their vision, which also had a name – asymmetry – built a stage presence and their own identity as a band and recorded a video for the single “Walking into the fire”. And they’re not stopping here: in September they’ll be filming another video for a single in the first album, and in November/ December they’ll start working on the second album. Their music is hard to describe in words, because it does not go in a certain trend, genre or rule. It’s a fusion of indie, pop, electro combined with great instrumental work. I’m not saying that they’re the revelation of the decade or something, but their music is certainly different in a way I can’t exactly put my finger on. The fact is that everybody finds a description of their own for music. Check out some acoustic sessions of the band below, the single Walking into the fire and listen to some songs on their website. How would you describe their music? As an average listener, appreciate the lyrics, the catchy melody lines and the opportunity for headbanging. As a music lover, find yourself surprised by the arrangements and explore all their subtleties. As a musician discover our work on chord lines, cadences and meter. There will be something for everyone. Photo from the band’s website.